In retail operations the focus in providing a modern customer care service and achieving operational excellence is growing in importance. 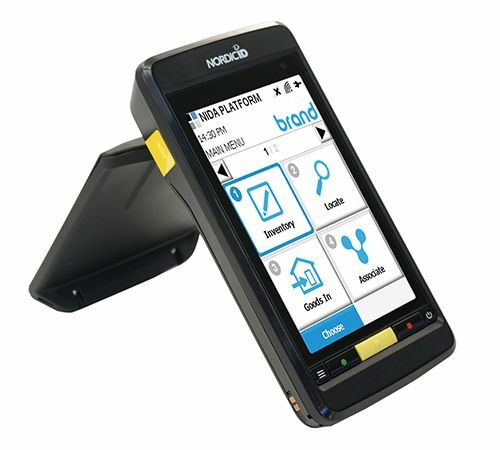 The powerful Nordic ID Medea – with its contemporary design – is the ideal tool to help retailers to improve issues relating to Product Lifecycle Management, Omni-channel, Customer experience, Big Data analysis and better product availability. Combine the Nordic ID Medea with the Nordic ID NIDA Platform for a contemporary out-of-the-box RFID solution. The Nordic ID Medea combines a large-size touchscreen display with unique functionalities and first-class performance, taking efficiency and user experience to the next level. The brilliant 4.3” touchscreen offers an intuitive-to-use user interface, which is easy-to-learn and familiar to today’s users. The Nordic ID Medea is equipped with our advanced high-performance RFID reader engine that delivers fast read rates and high data throughput. Its Gorilla Glass 2 touchscreen is robust and ensures that your Nordic ID Medea mobile computer withstands the daily challenges it faces. The Nordic ID Medea is seamlessly compatible with the entire Nordic ID product portfolio.